Bhubaneswar: Realizing the absence of a technical conference in the eastern part of the country, Mindfire Solutions, an 18 year old software services firm seized this opportunity and organised the first technical conference in Eastern India through TechBhubaneswar in smart city Bhubaneswar. A symposium on ‘Technology and its advancements’ was organised for this purpose that could act as a carrier to impart the latest technological advancements to the aspiring 550 attendees and many software professionals who participated in the program. Founder & President, Mindfire Solutions, Chinmoy Panda, inaugurated the session and welcomed all the delegates. The theme of the symposium was based on Futuristic and latest technologies such as IoT, AI, Mobile & Web, Open Source & Cloud and Software Testing. 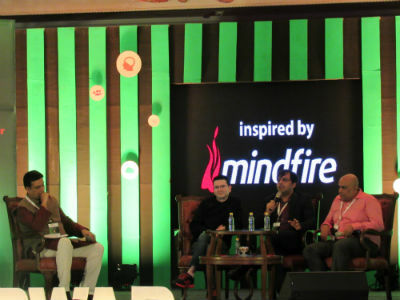 To throw light on the latest technological developments to the enthusiastic attendees, Mindfire solutions brought the best of the minds from the country who spoke on the technical aspects and enlightened the gathering. The speakers included Rahul Verma, Sunny Vaghela, Ramit Manohar Kaul, Shivprasad Koirala, Dhananjay Kumar, Nirmalya Sengupta, Ritesh Modi, Pooja Baraskar, Diksha Deo, Sabyasachi Patnaik and Col Prabir Sengupta.